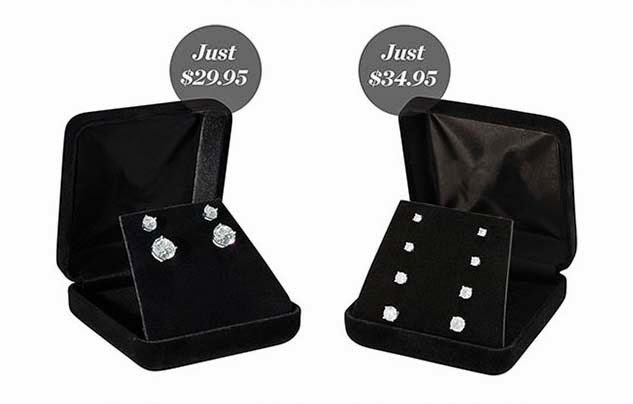 Our Great Customer Special Cubic zirconia stud earrings are the highest quality and ultra sparkly. Set in sterling silver, and at a great price! 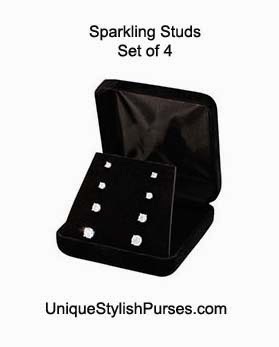 Wedding, Bridesmaids gifts, Prom or for yourself of course, just because! This is some Bling that every women should have! 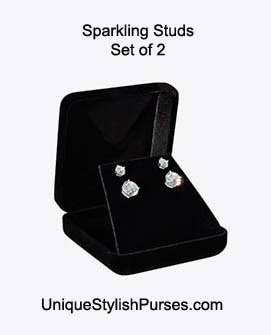 You’ll love this 2-pair set of glittering high-quality cubic zirconia studs in a tarnish-resistant sterling silver setting. Stones measure 5 and 8 mm. Set comes in a beautiful black velvet gift box. and are sure to make your favorite fashionista happy. You’ll love this 4-pair set of glittering high-quality cubic zirconia studs in a tarnish-resistant sterling silver setting. Stones measure 2-5 mm. Set comes in a beautiful black velvet gift box. The smallest size is perfect for a baby girl! Give them as gifts and treat yourself to a little sparkle too. While supplies last.